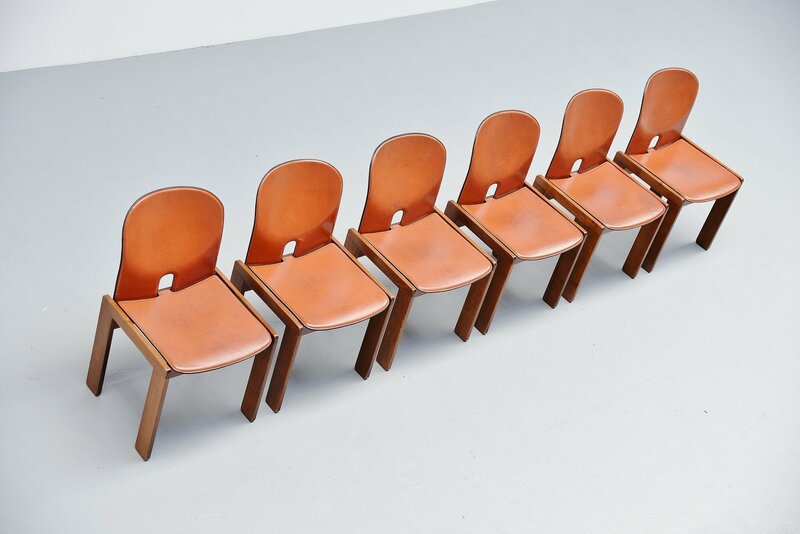 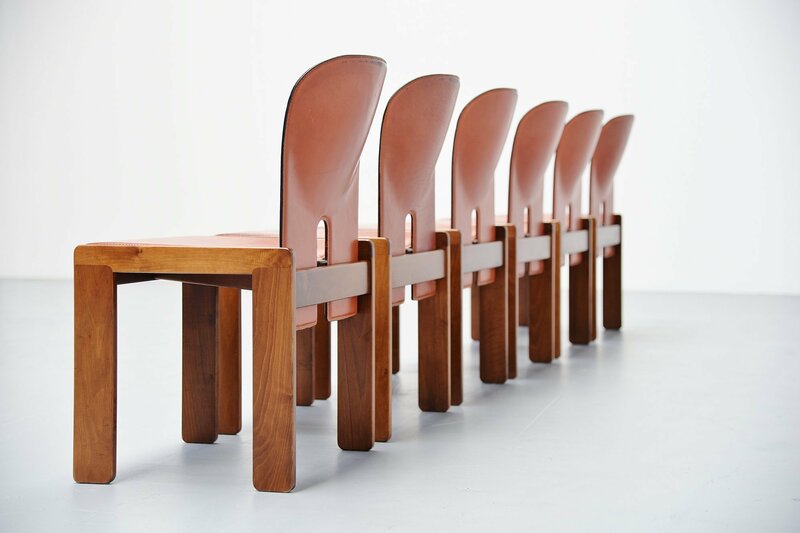 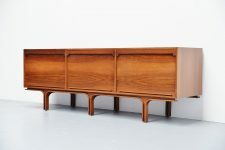 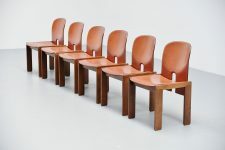 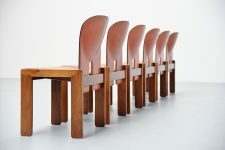 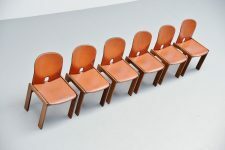 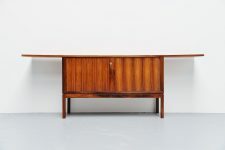 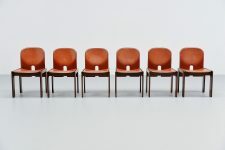 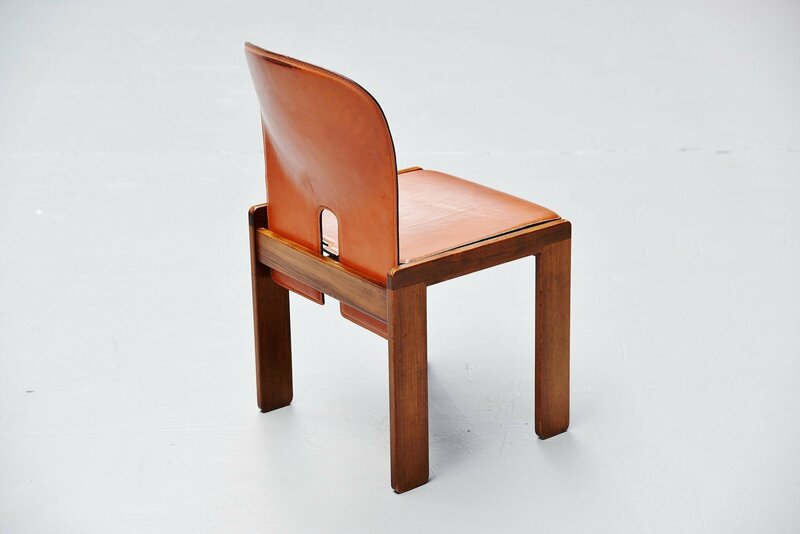 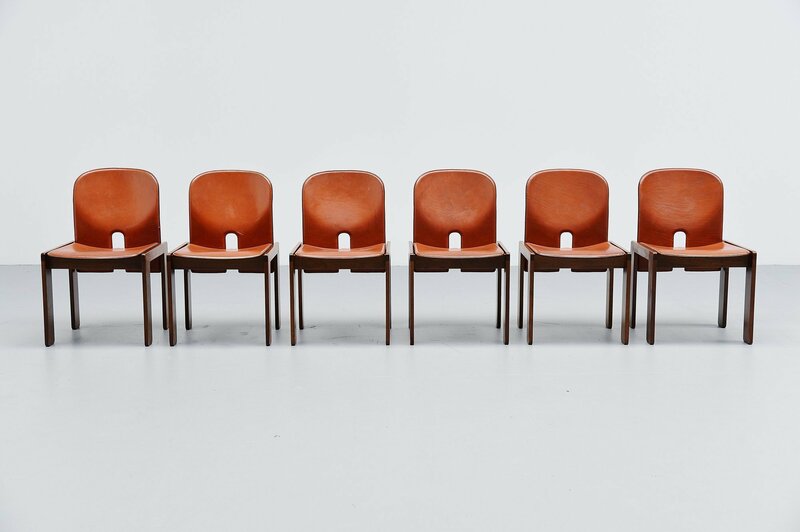 Nice set of 6 model 121 dining chairs designed by Afra e Tobia Scarpa and manufactured by Cassina, Italy 1965. 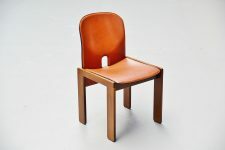 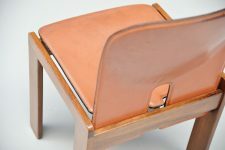 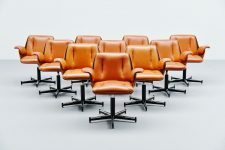 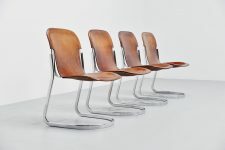 These chairs have walnut wooden frames and plywood seats and backs covered with cognac colored leather. 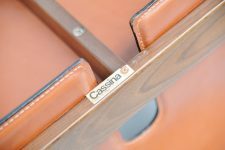 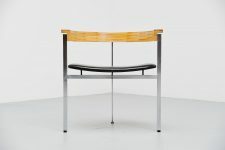 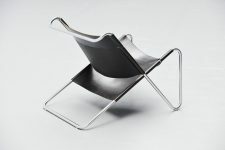 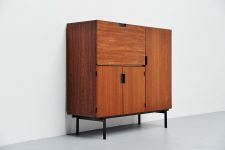 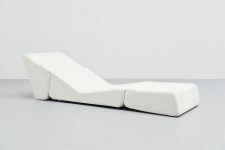 Chairs are marked with the Cassina sticker on the underside of the frames. 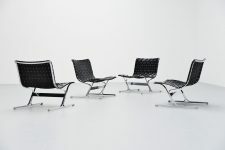 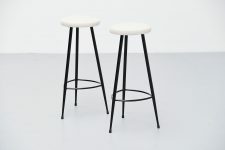 A timeless set of chairs the offers super comfort. 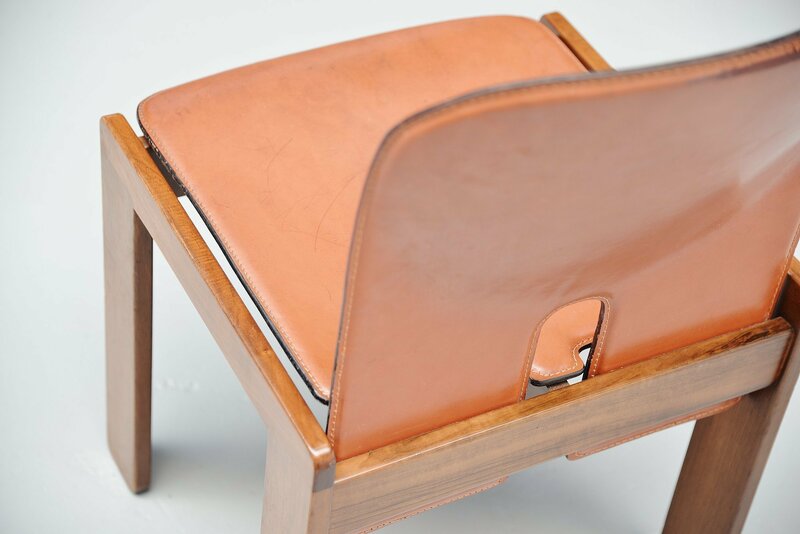 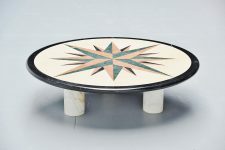 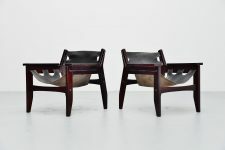 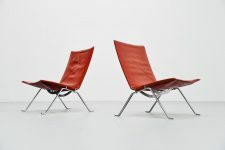 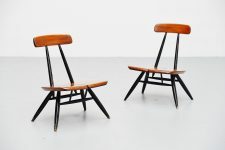 The chairs are in original condition and especially the leather shows a patina from age and usage, but there are no big damages that are not visible on one of the pictures.